Le Creuset Enamel on Steel Kettles are crafted from premium carbon steel and finished with a vibrant, chip-resistant porcelain enamel. From the Traditional Kettle to the bold Zen, the range of designs suits a wide variety of tastes and kitchen styles. 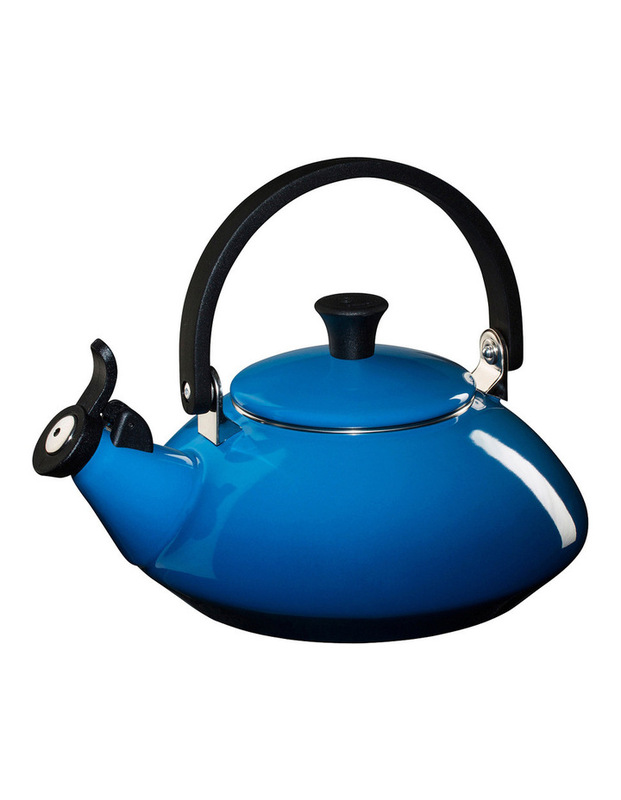 Each quick-boiling kettle features locking handles, heat-resistant phenolic knobs and harmonic whistles. They also now feature an innovative heating base compatible with all cooking surfaces, including induction.